Here at Trek Southwest, we love free stuff. Camping and hiking gear is expensive, so whenever we find something that doesn’t drain the bank account, we take full advantage. 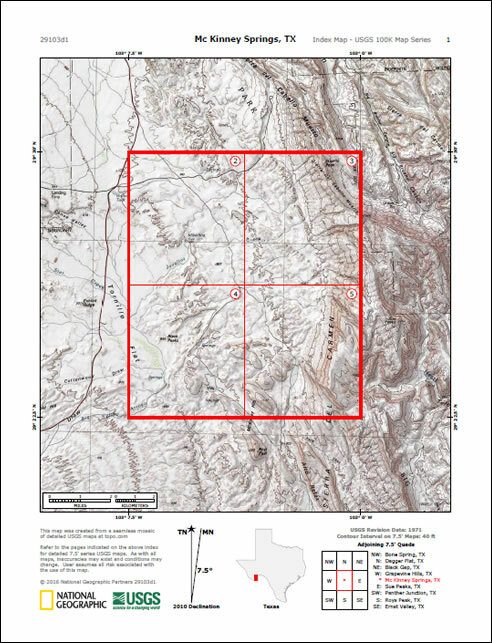 National Geographic is now allowing you to download and print free USGS Topographic Quads covering virtually every inch of the United States, right off of their website. One of the biggest benefits to it is that it’s set up so you can download onto your home computer and print out your quad on standard 8.5 inch by 11 inch paper. Another bonus is that hillshading has been added to the USGS Topo data to help you better visualize the terrain. When on their website, you can either navigate on their interactive map to your area of interest, or use the search box to look for your specific quad (unfortunately, a GPS coord search didn’t yield any results for us). Once you’ve zoomed into your area on their map, click the little red pop-up bubble, then click the small image of the map that pops up. It will automatically open a five page PDF file for you. The first page of the PDF will be an overview map orienting you to the following four pages where the map is partitioned into four scaled sections suitable for printing on your home printer. Based on the overview on the first page, it may look like you’re not getting all of your quad covered. No worries though, the areas surrounding the four printable sections are overlap from the bordering quads. If you need those, just find them on the navigation map on National Geographic’s site and print them out too. Start downloading on their website here.